The small print is never the easiest reading, but is important. Our Booking conditions describe our policies and procedures and clarify the contractual relationship between you and us the Owners of the property. For any advice please contact us. 1.1 Western Meadows Glamping is the trading name of Westcountry Glamping Limited. The company is registered in England with Registered Number 8730039 and the Registered Address is: Western Meadows, Under Lane, Launceston, PL15 8SN. 1.2 Customers renting property through Western Meadows Glamping are referred to as ‘the Guest’. 1.3 Westcountry Glamping are owners of the property. The rental arrangements are made by Westcountry Glamping trading as Western Meadows Glamping, the Owners of the property, and the Guest. 1.4 By booking with us you and you party agree to the Booking Conditions. 2.1 Rentals are for a maximum of four weeks and commence at 4pm on the first day of the rental and end at 10am on the day of departure unless otherwise notified. This period is hereafter referred to as ‘the Holiday’. 2.2 The period booked will be stated on the Booking Confirmation provided to the Guest when they book and cannot be exceeded unless Western Meadows Glamping give written approval. The Guest will be liable for any cost of whatever nature incurred because of an unauthorised extension. 3.2 If a booking is made less than eight weeks before the Holiday is due to start, the full rent, plus any additional charges, must be paid at the time of booking. 3.4 Should Western Meadows Glamping not accept or reject a booking request, the rent and any additional charges paid by the Guest will be refunded immediately. 4.1 Unless otherwise agreed by Western Meadows Glamping in writing, the price for the Holiday shall be the rent for the property as set out in the Western Meadows Glamping website at the time of the booking. 4.2 Subject to condition 6, as soon as the booking is received and accepted by Western Meadows Glamping, the Guest is liable for payment of the balance of the rent, along with any additional charges. 4.3 Payment of the rent and additional charges are payable to Westcountry Glamping Limited, eight weeks before the start of the Holiday (‘the Due Date’) and non-payment by the Due Date may be treated as a cancellation. 4.5 Western Meadows Glamping shall not be responsible for sending reminders of the Due Date. The Due Date will be set out on the Booking Confirmation. 5.1 Once a booking has been accepted by Western Meadows Glamping, the booking can only be changed to another property by treating the original booking as a cancellation (see condition 6). 5.2 The dates of the Holiday may be changed, except within two weeks of the start date; providing the property is available for the new dates and that we accept the change. 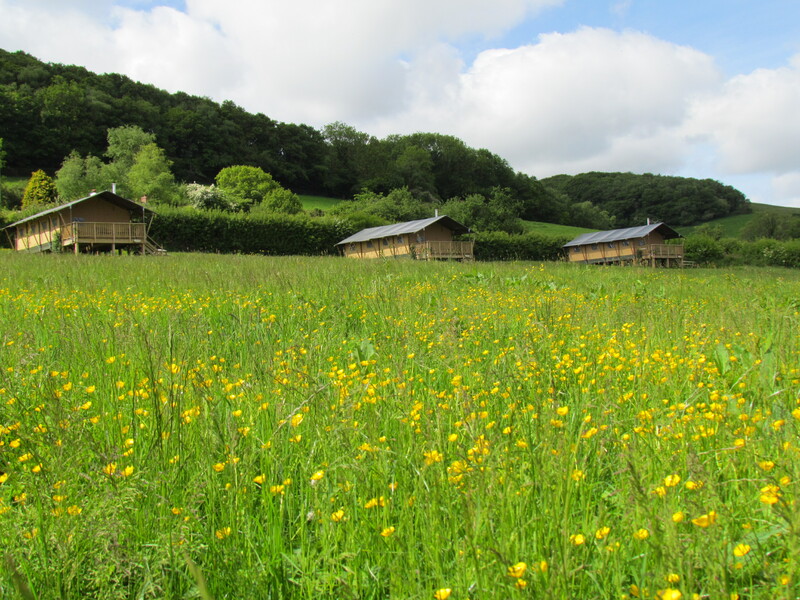 6.2 A Guest who wishes to cancel the Holiday must notify Western Meadows Glamping in writing (‘Cancellation Notice’). Where the property being rented has optional extras, they are listed and will be charged at the rates shown. A discount of 5% may be available to a Guest who wishes to re-book a property for a week or more which they have rented during the previous eighteen months. Only one discount may be applied to each booking. Western Meadows Glamping reserves the right to amend prices quoted on the Web site due to errors or omissions but such changes shall be notified to the Guest as soon as possible and the Guest shall be able to cancel the booking if the amended price is significantly higher than the original price quoted. Payments may be made by electronic bank transfer. Cheques or postal orders should be made payable to ‘Westcountry Glamping Limited’ and can only be accepted up to two weeks prior to the holiday. Any charges raised against Western Meadows Glamping by their bank for handling dishonoured cheques, bank transfers or any other payments will be passed on to the Guest who is liable to reimburse Western Meadows Glamping within seven days of receipt of notification from Western Meadows Glamping. 2. to pay for any losses or damages to the property and contents caused by the Guest or a member of their party (reasonable wear and tear excluded). If it is proven that damage is directly attributable to the Guest then Western Meadows Glamping, has the right to reclaim any costs incurred. All damage or breakdowns must be reported immediately so issues can be put right before the arrival of the next guests. 3. To take good care of the property and leave it in a clean and tidy condition at the end of the Holiday. A cleaning service is not provided during the Holiday unless otherwise specified. Should the Owners be dissatisfied with the condition of the property upon the Guest’s departure, they may refuse to take a booking from that Guest again. If a Guest is excluded from two or more properties by different Owners, then Western Meadows Glamping have the right to refuse any more bookings from that Guest, at any other property and your detail may be sent to other owner and agents. 10. Lump wood is provided for the wood burning range cooker which should not be used on the fire pit (it burns too long and hot for children to toast marshmallows). If it is used a charge of £25 will be added to your bill per event. Free wood is provided for the fire pit that burns for a shorter time and is better for toasting marshmallows and BBQs. Excessive use of the free firepit wood ‘having a bonfire’ and not a fire pit will be charged at £20 per event. If for any reason beyond the Owners’ control the property is not available on the date booked (owing, for example, to storm damage) or the property becomes unsuitable for holiday letting, all rent and charges paid in advance by the Guest will be refunded. 16.1 Western Meadows Glamping will not be liable for any act, neglect or default or any other person not within their employ or otherwise under their control, nor for any accident, damage, loss, injury, expense or inconvenience, whether to person or property, which the Guest or any other person may suffer or incur arising out of, or in any way connected with the rental unless Western Meadows Glamping is responsible. In addition, the Owners and Western Meadows Glamping accept no liability for loss of or damage to the Guest’s possessions, including vehicles, motor or pedal cycles and other forms of transport, on the Owners’ property or land. – 2. for any matter which it would be illegal for Western Meadows Glamping or the Owners to exclude or attempt to exclude their liability. Some of the information on this Web site relates to matters beyond the properties such as shops and public houses. Closure of such premises and other changes to external facilities are outside Western Meadows Glamping control. If Western Meadows Glamping is aware of any material changes to the Web site at the time of the Guest’s booking, then it shall endeavor to inform the Guest of these changes. Please note that Wi-Fi is not available. 18.1 All complaints must be notified to Western Meadows Glamping as soon as reasonably practicable, as Western Meadows Glamping may be required to carry out an on-the-spot investigation and if necessary, to take remedial action. Guests have a legal obligation to mitigate their loss. 18.2 If Western Meadows Glamping or the Owners are denied the opportunity of investigating the complaint within a reasonable time or denied the opportunity to put matters right during the Holiday, then the guest will waive all rights. 19.1 Pets are only permitted with the prior consent of Western Meadows Glamping and the Owners and where pets are permitted; they are to be kept under control and exercised so as not to cause nuisance to other guests. 19.2 Pets are not permitted in the bedrooms or on the furniture and neither Western Meadows Glamping can accept responsibility for their safety. Pets must not be left in the property unsupervised as this can result in considerable damage to the property and distress to the pet. A charge will be made for each pet. Linen and towels are changed between Holidays and a fresh set is provided weekly during Holidays of over 14 day and over. 23.1 If there is a breach of any of these conditions by the Guest or any of their party, Western Meadows Glamping reserve the right to re-enter the property and end the Holiday and ask the Guest and their party to leave. 23.2 If there is a breach of any of these conditions by Western Meadows Glamping or the Owners, then the Guests have the right to end the Holiday and leave. 23.3 Ending the Holiday by either Western Meadows Glamping, the Guest does not affect that party’s other rights and remedies. 3. they agree to take responsibility for the party occupying the property, and to notify Western Meadows Glamping if they are not a member of that party. In case of a discrepancy between these Booking Conditions and any other contents of a Western Meadows Glamping Web site, these Conditions shall prevail, but this shall not limit Western Meadows Glamping’ liability for failure to supply the accommodation as described on the Web site. There are no televisions in the tents. There is no Wi-Fi provided.